The company GOOD TONE produces high-end humbuckers in Switzerland, which are absolutely "outstanding" tonally. You have the choice between two principles: Pickups that sweeten your guitar with a singing and fat tone (the Classic Series), or you are looking for the absolute honest pickup that will support the dynamic and woody tone of your guitar perfectly. 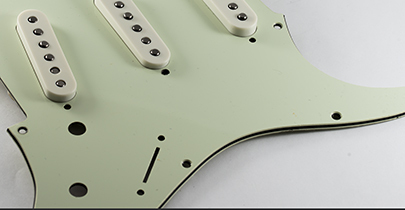 Good Tone faces the theme of single coil with authenticity and the pure sound pleasure. Whether Strat, Tele, P-90 or Humbucker-sized. 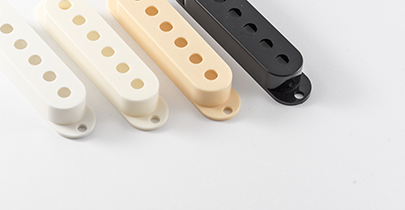 Goodtone offers excellent single coil solutions for each purpose. 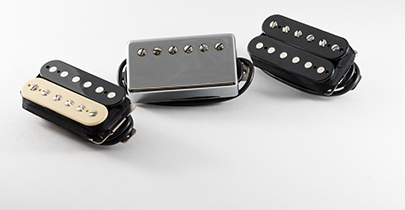 Find the right accessories for GOOD TONE pickups here. Please ensure that you need separate caps for some pickups.